CHICAGO (March 21, 2017) – (RealEstateRama) — CHA CEO Eugene Jones, Jr., today released the Authority’s Year in Review for 2016, which outlines the progress the agency has made in the past year, as it ramped up development activity, increased Housing Choice Voucher (HCV) utilization and enhanced Resident Services programming. As detailed in the report, CHA and its partners oversaw the development of 1,037 new apartments for CHA residents that were either completed or in the final stages of construction. Housing Choice Vouchers also increased by approximately 1,100 over the course of 2015, bringing the total to 47,000 vouchers, with voucher holders living in every one of the Chicago’s 77 community areas. Speaking at the Board of Commissioners meeting on Tuesday, Jones, Jr., pointed out that, while the number of housing units and vouchers leased have increased – as important – the lives of individual residents have improved, with 64 percent of all heads of household working, and average income levels for work-able heads of household rising to an all-time high of $20,042 per year – a testament to CHA’s Resident Services division and its not-for-profit partners. “I made a promise when I arrived to aggressively pursue redevelopment activities and to provide the city of Chicago with more affordable housing opportunities, and we have kept that promise,” Jones, Jr. said. Jones, Jr. pointed out that, at the start of the Plan for Transformation (the agreement between CHA and the U.S. Department of Housing and Urban Development to replace or repair 25,000 units of housing), CHA is providing the city with more affordable housing than was available when the plan began, with the total number of public housing units to date at 23,423. Further, in 2000, there were 30,000 Housing Choice Vouchers available for rental in the private market. Today, CHA has leased almost 47,000 vouchers. “The number of people served, as well as the neighborhood revival taking place in communities formerly in the shadow of CHA high-rises, provides Chicago with a story we can be proud of,” Jones, Jr. told the Board. Among the completed housing units in 2016 were 65th Infantry veterans housing in the Humboldt Park community; 218 fully-rehabbed units at Altgeld Gardens; Casa Querétaro, CHA’s first housing in the Pilsen community; City Gardens, Crestwood Apartments, Jade Garden, Milwaukee Ave. Apartments, Terrace 459 at Parkside of Old Town and Rosenwald Courts. Among the developments under construction or near completion are: Access Housing, Carling Hotel, Clybourn 1200, St. Edmund’s Oasis, Sterling Park and Xavier. 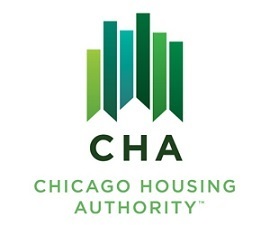 • CHA achieved 94 percent toward its 25,000-unit goal with the production or near completion of 1,037 public housing units. • Authority partnerships produced 692 affordable and 289 market-rate housing units during the year. • Resident incomes increased to $20,042, with 64 percent of the work-able population gaining employment – a three percent increase over 2015. • CHA’s Family Self-Sufficiency program saw 78 residents graduate from the program, accumulating a total of $406,000 in escrow. • The Choose to Own program surpassed its 500th home closing, providing homeownership opportunities. • Nearly 5,000 youth participated in “Year of the Youth” programs that provided 21st Century skills training and experience. • CHA youth earned more than $2.9 million in wages from internships and other summer learn/work opportunities at 340 work sites across the city – an increase of 45 percent, including 87 college students who worked as CHA interns during the summer. • 7,568 CHA residents enrolled in college and CHA awarded 230 scholarships, totaling $268,000 to students representing 90 colleges nationwide. • CHA was issued an institutional credit rating of AA by Standard and Poor’s – the highest designation for any United States public housing authority. • CHA invested almost $268 million in capital development and building improvements which, in turn, attracted $174 million in investment from other sources and reduced its reserves from nearly $154 million to roughly $77 million. • CHA was granted a 10-year extension as a Moving to Work (MTW) agency.